US President-elect Donald Trump has confirmed that he will most likely abandon the Obama administration policy on Syria to seek a possible rapprochement with Russia on the issue of Assad. “I’ve had an opposite view of many people regarding Syria,” the 70-year-old Republican told the Wall Street Journal in his first interview since the election. From the start of the Syrian war, Barack Obama’s foreign policy has been focused on the support and training of the so-called “moderate” rebel groups who were supposed to defeat Islamic State (IS, formerly ISIS/ISIL) terrorists, and survive to eventually overthrow Assad. That approach became deadlocked this year when Washington failed to honor its obligations under an agreement with Moscow to separate their moderate rebel forces from internationally-recognized terrorists. Trump, on the other hand, said on Friday that the US should be focused on fighting Islamic State, instead of pursuing regime change in Syria. It has been widely documented and reported that American weapons supplied to the moderate rebels are often obtained by extremists in Syria. Those weapons, in turn, are being used by the jihadists to strike civilian positions and deploy them against Syrian forces. The US coalition bombing of Syrian Army positions near the city of Deir el-Zour on September 17 led to the collapse of the US-Russian peace initiative. Rapprochement in US-Russia ties could, however, be on the horizon after Trump admitted receiving a “beautiful” letter from Russian President Vladimir Putin. Trump said a phone call between them is scheduled shortly. Donald Trump and Vladimir Putin are “very much alike... in their basic approaches toward international affairs,” Dmitry Peskov told the Associated Press earlier. “[Trump] has been a very firm supporter of the idea of a good relationship between our countries, because we do carry a joint responsibility for strategic stability in the world, strategic security,” the spokesman said. 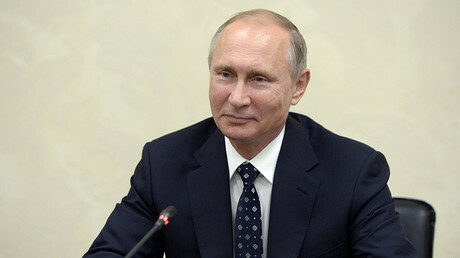 Immediately after Trump's victory, Russian President Vladimir Putin stated that Moscow looks forward to restoring bilateral relations with the United States. The US military establishment, however, already seems to be working against Trump's policies. In an interview with CBS This Morning, Defense Secretary Ash Carter leveled a barrage of accusations at Russia. While Moscow has been undertaking efforts to eliminate Islamic State and Al-Nusra Front terrorists in Syria, it never said it would take part in the forcible removal of President Bashar Assad. When the anchor Norah O’Donnell said “They're helping Assad?” Carter continued, “Exactly. Which in turn simply fuels the fires of the Syrians civil war. So the Russians have been completely backwards there, in what they've been doing. “So we have not been able to, and I have not been in favor, and am not recommending to the president that we associate ourselves with or work with the Russians until they start doing the right thing,” Carter concluded.